You're meltinnnnnggggggg. But it doesn't have to be that way, even without a pool or an AC. But you could be THIS instead. 1. Buy a fan that operates through your phone. Like those little plastic jobs you always used to have at summer camp, only 100000000x cooler. Get it here. 2. Invest* in an ice-vest. 3. Train a hummingbird to be your loyal friend and face-fanner. 4. Get an umbrella-fan to counteract summer thunderstorms. Why do you think she's smiling so big? Available here. 5. 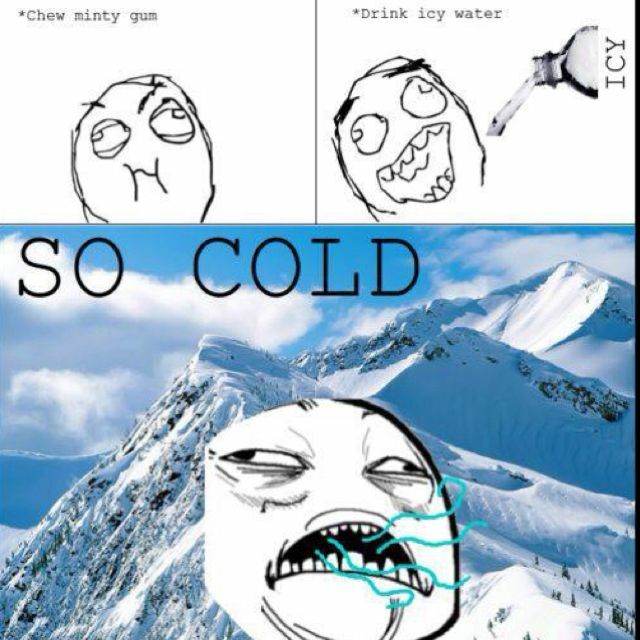 Minty gum + cold water = instant relief. 6. Make sure your pets are nice and chilly too. Find a variety of *pupsicle* recipes here. Get the stroller cooling system here. Freeze toys for an icy excavation game. 10. Chill your beverage instantly. 11. Harness the power of a good old-fashioned ice cube. 12. Or give them a makeover. Death Star tray available here. Shark fin tray available here. 15. 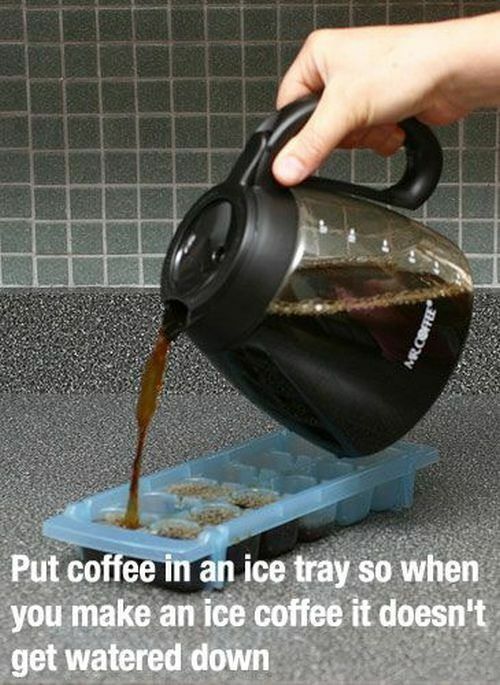 Make the world's best iced coffee. 16. Squeeze lemons the RIGHT way. All it takes are a pair of salad tongs. 17. Get a bed fan to make nights bearable. 18. Make your own cooling face mist. Perfect for the beach. Directions here. 19. If you get really desperate, try your hand at a DIY AC. We believe in you. Directions here. This is clearly a huge waste of electricity, but desperate times et cetera. 21. Chill beauty products like facial toner for a quick jolt of relief. 22. 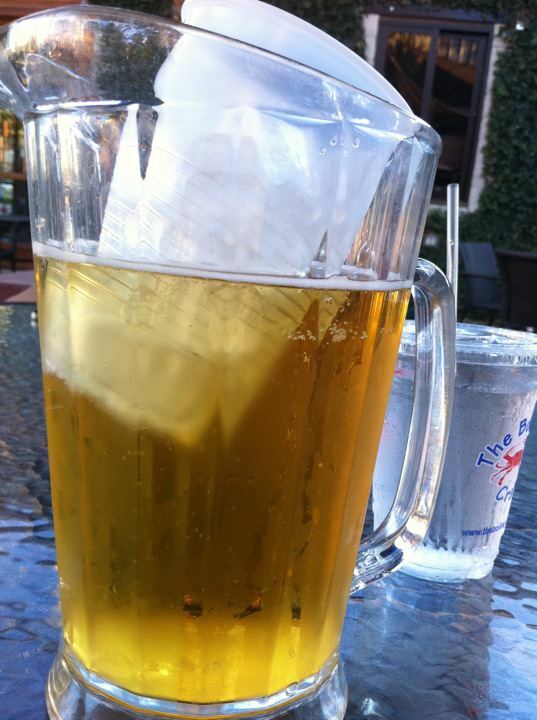 Get a pitcher with a teabag filter so you can cold-brew tea. You won't have to worry about steaming up your kitchen and waiting for it to cool. Available here. 23. Make a paper fan to put the rest to shame. Plus the project might help distract you from your own creeping discomfort for a few minutes. Directions here. 24. Chill your beer without watering it down. Just freeze water in a small cup. 25. Spice up a boring ceiling fan. 26. Make sure you're drinking enough water by labeling your bottle. 27. Use a wet towel as a blanket and settle in for a long, long nap.